Hello! 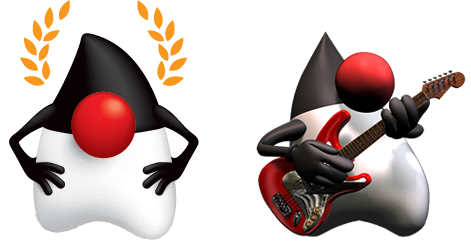 Welcome to the first part of “The Java Trove” series. The Java landscape is covered with thousands of libraries and tools that make working in the Java space a much better experience. Some of these libraries are well known and used by many in their daily work; others have yet to break into the spotlight. The goal of this series is to have a positive impact on Java developers’ productivity and enhance the development experience by presenting these libraries in the context of useful examples and shedding some light on the not-so-well-known libraries that abound. It’s worth noting that, like with many things in life, there are no silver bullets, nor is there a single, perfect way to reach a specific goal. The code examples presented in this series strive to be small enough to be comprehensible while still showing the power of the chosen libraries. That being said, the code examples should be seen as guides rather than canonical implementations that must be followed to the letter. We’ll begin this adventure by attempting to solve the following problem: query a REST-based API and present the results in a JavaFX application. I’ve chosen JavaFX as the UI technology because it’s very easy to get started with it, and also doing that keeps the whole application centered in Java-based technologies. However JavaFX is not the main concern for this article; thus, it will be kept to a minimum for now. Please let me know through your comments if you want to know more about the JavaFX internals. The full source code is also available under the GPL3 license at javatrove/github-api-01.